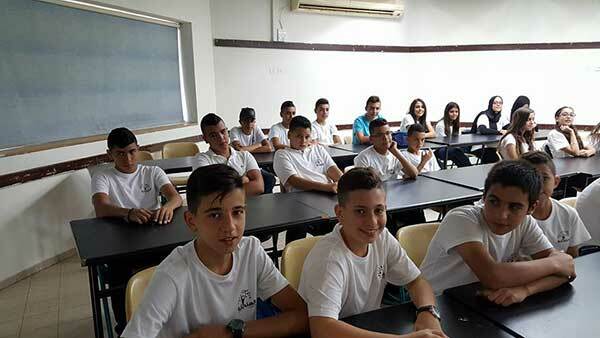 The first Arab youth village for young leadership – Sindiana – is a unique project, the first of its kind in Israel. 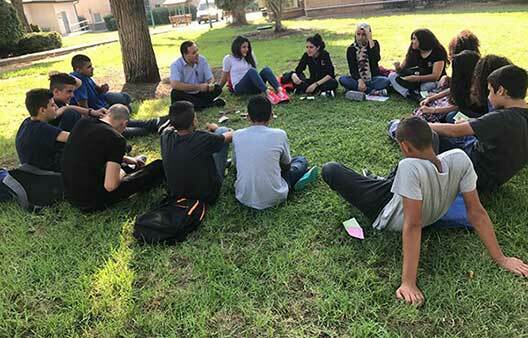 It is a collaboration between the Society for Advancement of Education, Jerusalem, and a group of social entrepreneurs and education professionals from the Arab community, together with Givat Haviva and the Menashe Regional Council. The village’s educational model includes a school, residence, and agricultural area, providing students with a framework that combines optimal learning conditions with a personal and group program including informal education and significant experience with agricultural education and work. 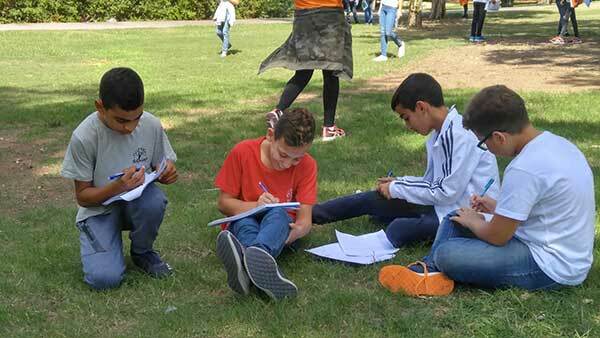 Arab society in Israel currently lacks informal education frameworks that provide youth with meaningful complementary educational and social experiences. This educational framework for youth from the Arab community was developed and established in order to train a group of young leaders, who will be involved with and influence their society. Sindiana was born of this vision, and is founded on the principles of multi-culturalism, pluralism, and civil and social equality. 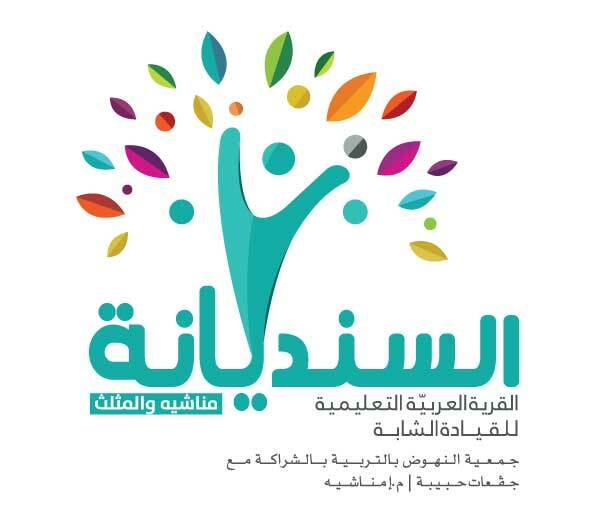 It is a holistic educational framework, offering the student personal development, strengthening of his or her educational and social skills, and cultivation of activist leadership based upon the roots of Arab culture, young people’s circles of belonging, and exposure to the cultures of the world at large. The youth village is located on the Givat Haviva campus, and includes a junior-high and high school, and a residence. Some 190 students currently study there. The youth village is based upon three foundations: academic and social excellence, culture and identity, and leadership. It comprises a meaningful values education framework, which will train and develop a cohort of influential young leaders. The campus is intended for youth from Israel’s Arab society, who have strong educational and leadership capabilities, and a desire to develop, dream, influence, and achieve socially, morally and academically. The campus constitutes an educational center that promotes the importance of realizing one’s academic, social and leadership potential, enabling the youth to develop their identity, and expand future opportunities for academic, professional and social success. In addition to educational excellence, the school emphasizes informal education and social activities concerned with identity, culture and social activism. The holistic educational experience of the youth village provides fertile ground to young people with high academic capabilities and the desire to invest, progress and express their academic and social potential. Holistic approach – providing a comprehensive response to students, educational staff, the community and the region.Providing varied educational and social responses to different circles. Connecting between formal education and informal activities (extra-curricular enrichment, field trips, meetings with inspiring people, etc. ), with a common purpose: familiarity with Arab culture and heritage, and understanding Arab society in Israel, with all its facets and challenges. Setting objectives and meeting them – cultivating the desire to perform optimally in every field: academically, socially, and in the community. Leadership – developing leadership skills, strengthening the sense of responsibility and involvement, developing the ability to influence, and strengthening the vision of the optimal leader. Special activities with this focus take place in both the formal education and afternoon frameworks. Social activism – education towards social involvement and activism, strengthening the sense of responsibility and social initiative, education towards activism and increasing social awareness. Arab identity and culture – work on defining a personal and collective identity, developing a sense of btrengthening of Arabic language skills – on the individual, group and community levels. Examining tradition vs. modernization. Special emphasis will be placed upon development in the fields of music and art, particularly in junior-high school. Multi-culturalism and pluralism – deepening understanding and learning about other cultures and languages, and the varied ethnic groups and sectors in Israeli society and in the world, broadening horizons and exposure to a variety of opinions and critiques. Varied learning environment – leaving the familiar, private comfort zone for the sake of development, learning and inquiry. Study outside the classroom, active learning in the students’ home towns and villages, and a technologically advanced school study environment. Encouraging the sense of ability – coping with challenges and difficulties, developing independence, self-worth, and seeing oneself as influential. Critical thinking – developing critical thinking skills, asking questions and casting doubt, in-depth values clarification following study, reading and analyzing local and global reality in a variety of fields. Exposure to a spectrum of opinions, inquiry, and taking a stand. Innovative pedagogy – This is a new, innovative school that implements 21st-century didactic techniques (PBL). The school will operate a number of spiral programs for learning to research and to carry out projects. Research processes will also take place outside the classroom, in home towns, research institutes and advanced industrial enterprises. Some of the lessons will use online teaching, both in groups and for the entire classroom. Additionally, in one or two subjects, we will experiment with “reverse teaching.” Some alternative evaluation processes will be used. Instead of examinations, we will evaluate portfolios and visual products. In very verbal subjects, we will also experiment with the “students teach students” approach. The educational staff and the management of the youth village is actively involved in establishing, paving the way and leading the school and residence in an innovative manner.